These clear ID overlays come in packs of 10 and include a UV eagle. 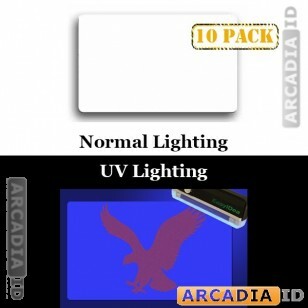 This eagle is only visible in UV light meaning that your cards will be hard to copy. Adds a professional feel as well to your cards. Don't see what you need? Then call us anytime and we'll be happy to help. Fast delivery on all our products.